Most conversations about birth control pills usually focus on pregnancy prevention. And while birth control pills do a great job at that, it’s good (and really important) to remember that a large number of women take the pill for reasons that have NOTHING to do with pregnancy. According to a study by the Guttmacher Institute, that number is roughly 210,000 or 14% of women using oral contraceptive pills. Of the women who take the pill, 31% of them need it to reduce cramps or menstrual pain, 28% of women use it to prevent migraines and other side effects of periods, 14% use it for acne, and 4% use it to treat endometriosis. Today, hundreds of thousands of women use birth control pills as medical treatment for Polycystic Ovary Syndrome (PCOS). That’s a lot of women living with PCOS aka a lot of women living with mildly frustrating to painful side effects, so let’s talk about it and why we all should care. PCOS is one of the most common and misunderstood health problems for women. It’s a hormonal imbalance involving the androgens, insulin, and progesterone. Its symptoms are similar to other health conditions, so women are often undiagnosed with PCOS. Researchers haven’t been able to determine what causes PCOS, but they suspect that it may be a combination of genes and environment. Also, it might be different causes for different people. Even though there’s no cure, doctors often will treat PCOS with birth control, typically prescribing birth control pills, patch, ring or the IUD with progesterone to help women manage the symptoms. The PCOS Awareness Association estimates that one in 10 women have PCOS, which is more than those with breast cancer, rheumatoid arthritis, multiple sclerosis, and lupus, combined. And the concerning thing is that for many women, it’s not even being diagnosed. Huffington Post reports that less than 50 percent of women are properly diagnosed. This means that there are far more women not getting the treatment that they need. So when you go about your day, whether you’re in class, at the gym, or even at the grocery store, look around you. Know that there’s a good chance that at least one of the women around you will probably have PCOS and it might even be you. The name PCOS can be misleading because some women who have PCOS don’t actually have cysts on their ovaries. What can happen if you don’t treat PCOS? When left untreated, PCOS can increase a woman’s risk for endometrial (lining of the uterus) cancer. With PCOS, the ovary does not pop out an egg regularly. If no egg pops out aka ovulation, then no progesterone is produced. Thus, the lining of the uterus (endometrium) grows uncontrollably. PCOS treatment is meant to stop the growth by providing progesterone. 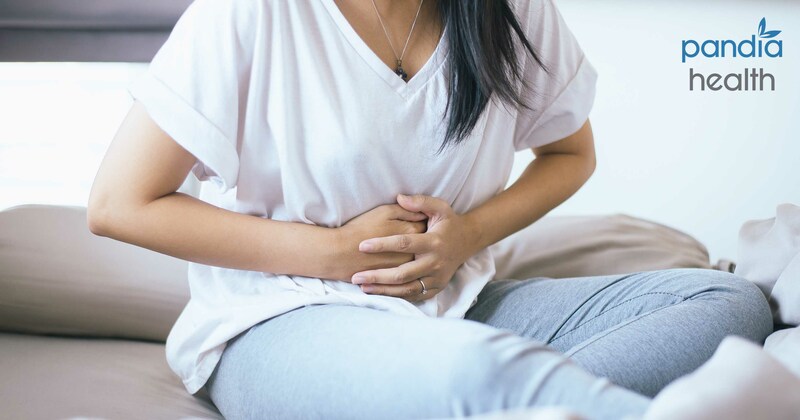 Because PCOS symptoms, like irregular periods, can be related to many other conditions, it’s often difficult for women to get diagnosed with it. There isn’t a single test to definitively diagnose PCOS, so your doctor will play detective by asking your health history and performing a physical exam. In addition to understanding your menstrual cycles, your doctor will also want to know about your weight, acne, hair growth patterns, plus your family’s and your medical history. Your doctor may also order blood tests to check out your hormones, thyroid and other areas to help rule out other causes and to confirm PCOS. Sometimes, doctors will also order an ultrasound to check your ovaries, but that usually isn’t necessary for the diagnosis of PCOS. While there isn’t a cure for PCOS at this time, you and your doctor can treat the symptoms and some of the possible causes. Diet and exercise. The National Institute of Health recommends diet and exercise for women with PCOS. If you can lose 10% of your current weight, often the symptoms of PCOS will get better or go away. Making your hormone levels normal by turning off your ovaries. Decreasing the level of testosterone: With PCOS, testosterone is high. Birth control pills, patches, and rings cause that level to go down and will likely help with acne as well. Metformin. This works by decreasing the excess insulin that some women have with PCOS. This is particularly useful for women who are heavier and/or are pre-diabetic. Progesterone. If you don’t want to take the birth control pill, patch, ring, or metformin or your doctor finds that those options are unsafe for you (contraindicated), then you might be prescribed progesterone. You will likely take progesterone for 5 days every 3-4 months to cause a “period” and “clean out” your uterus. What’s Next for Birth Control and PCOS? Because women aren’t getting properly diagnosed with PCOS, let’s first get them diagnosed. If you or your loved one experience any of the symptoms, meet with your doctor to see if PCOS is the culprit. With the Affordable Care Act (ACA), birth control is now more accessible than ever. This is a game changer for women who have PCOS because it is one of the go-tos for treatment. However because birth control is widely seen as a pregnancy prevention method, women with PCOS have been collateral damage when it comes to birth control funding cuts. We (yes, that’s you and me) need to raise awareness with our policy makers that this is an actual treatment option for women with PCOS. It’s not just about pregnancies, people! In the meantime, if you or somebody you love needs to treat PCOS with birth control, we’ve got your back (and your ovaries). Learn how you can get birth control delivered straight to your door. For free*. At Pandia Health, we make it easy by automatically refilling your medicine so that you have one less and very important thing to worry about. If you’d like learn more about PCOS, visit YoungWomensHealth.org produced by Boston’s Children’s Hospital. *All insurance accepted except for Kaiser. No co-pay and no deductible under the ACA so long as you have insurance. The views expressed in this article intend to inform and induce conversation. They are the views of the author and do not necessarily represent the views of Pandia Health, and are for informational purposes only, even if and to the extent that this article features the advice of physicians and medical practitioners. This article is not, nor is it intended to be, a substitute for professional medical advice, diagnosis or treatment, and should never be relied upon for specific medical advice.